Photos taken in December, 2016. Photos from all around Walt Disney World” holiday decor, shows, more Jingle Bell, Jingle BAM! 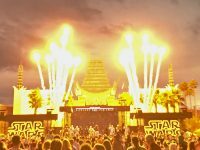 at Disney’s Hollywood Studios which is rejoined by Star Wars: A Galactic Spectacular, more Star Wars stuff too, while over at Epcot, Spaceship Earth is briefly turned into the Death Star, more Candlelight Processionals, and….finally, New Year’s Eve at Epcot. 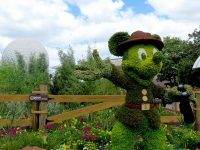 As a Contributing Writer/Photographer to MousePlanet, I wrote the Walt Disney World Resort Update for December 27, 2016 to January 2, 2017. The article, including lots of photos and videos, is here (link will open a new window on the MousePlanet website). 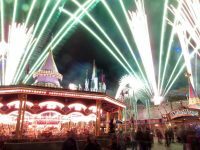 As a Contributing Writer/Photographer to MousePlanet, I wrote the Walt Disney World Resort Update for December 20-26, 2016. The article, including lots of photos and videos, is here (link will open a new window on the MousePlanet website). 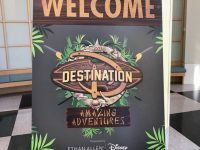 On November 18-20, 2016, I attended the 2016 D23 Destination D: Amazing Adventures Event at Walt Disney World with Press Credentials. A good deal of news was released at the event, and I had the opportunity to interview Disney Imagineering Legends Marty Sklar and Tony Baxter, as well as a number of other folks. On November 15-16, 2016, I attended the Walt Disney World Press Event, “Unwrap the Magic” which showcased the Holiday offerings around the Resort. 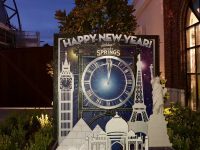 Nearly one full day was devoted to all of the new offerings at Disney Springs, including the new nighttime entertainment: “Starbright Holidays – An Intel Collaboration” featuring 300 Shooting Star show drones equipped with LED lights capable of numerous color combinations flying over Village Lake synchronized with holiday music and narration. MousePlanet Contribution: Walt Disney World Salutes 2016 World Series Champs Chicago Cubs on Main Street U.S.A.
On November 5, 2016, thanks to the Walt Disney World Public Relations team, I attended the Magic Kingdom’s Celebration of the Chicago Cubs’ first World Series Championship since 1908! As a Chicagoan from birth until 2014, it was truly a once in a lifetime experience (well, until they manage to win another)! 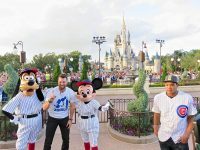 With Series MVP Ben Zobrist, Addison Russell and Javier Baez on hand, the Magic Kingdom was filled with fellow Cubs fans all along Main Street USA. 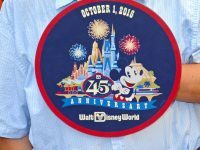 Photos taken in October, 2016 — October 1, 2016 was the 45th Anniversary of the opening of Walt Disney World. 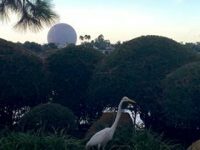 It was also the 34th Anniversary of the opening of Epcot. 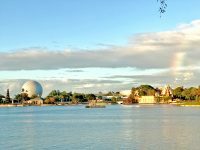 The Food & Wine Festival ran all month at Epcot, Magic Kingdom was decorated for Halloween, Disney’s Animal Kingdom was open some nights (but still without its Rivers of Light spectacular, Disney’s Hollywood Studios had less to see and do, and Disney Springs was decorated for Fall. I also took my first walk through Disney’s Port Orleans (Riverside and French Quarter), and I walked from Disney Springs through Disney’s Saratoga Springs all the way to Disney’s Old Key West. Oh yeah, the Main Street Electrical Parade “glowed” away (again), a new Muppets show debuted at Magic Kingdom and the Muppets Mobile Lab reappeared at Epcot. 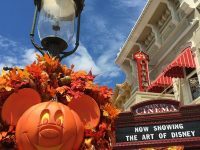 Photos taken in September, 2016 — Visits to Epcot where the Food & Wine Festival got underway, Disney’s Animal Kingdom at night, Disney’s Hollywood Studios for another opportunity to see Star Wars: A Galactic Spectacular and the tearing down of the Streets of America, and Magic Kingdom where it is already Halloweentime, plus Disney Springs and some of the resorts. 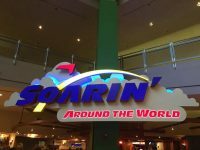 Photos taken in August, 2016 — Visits to Epcot, Disney’s Animal Kingdom, Disney’s Hollywood Studios and Magic Kingdom plus Disney Springs and some of the resorts. Photos and video taken in July, 2016 — Visits to Epcot, Disney’s Animal Kingdom, Disney’s Hollywood Studios and Magic Kingdom plus Disney Springs (where even more new places opened) and Independence Day Magic Kingdom fireworks (on July 3) from the beach at Disney’s Polynesian Village Resort. Photos taken in June, 2016 — Visits to Epcot, Disney’s Hollywood Studios and Magic Kingdom plus Disney Springs, featuring photos of the newly opened gateway arch (bus depot) at Town Center; the newly opened Disney Vacation Club Members Lounge inside one of the pyramids of Epcot’s Imagination Pavilion; the newly opened Royal Summerhus and its “Frozen” princesses; the newly opened Frozen Ever After; the newly opened Soarin’ Around The World and more. 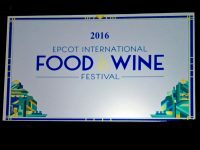 As a Contributing Writer/Photographer to MousePlanet, on June 26, 2016, I attended the first Preview for the 21st annual Epcot International Food & Wine Festival. My article, including lots of photos, is here (link will open a new window on the MousePlanet website). 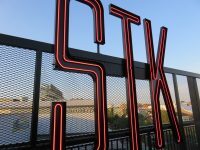 As a Contributing Writer/Photographer to MousePlanet, on May 25, 2016, I attended the Grand Opening Preview Party for the newest “fine dining” location at The Landing at Disney Springs: STK Orlando Steakhouse. My article, including lots of photos, is here (link will open a new window on the MousePlanet website). 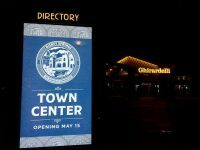 As a Contributing Photographer to MousePlanet, on May 15, 2016, I attended the opening ceremony for the new Town Center neighborhood at Disney Springs. The Update for May 17-23, 2016, is mostly my report on the area. Read about it here (link will open a new window on the MousePlanet website). Photos taken in April, 2016 — Visits to all Four Parks plus Disney Springs construction; featuring a farewell to Lights, Motors, Action! 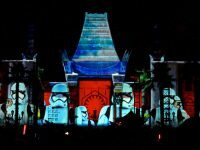 and the Streets of America at Disney’s Hollywood Studios, a new (mostly video screen) Star Wars stage show, a SpaceX rocket launch was visible over Epcot, and lots more photos from the second month of Epcot’s longest-ever Flower & Garden Festival.